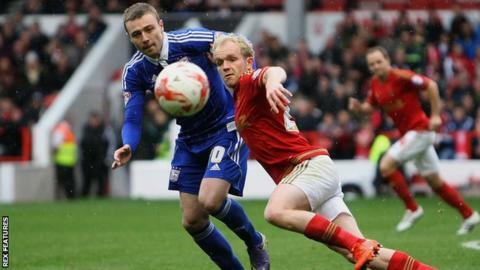 MK Dons have signed Crystal Palace midfielder Jonny Williams on an 93-day emergency loan deal. The 22-year-old Wales international has played 69 times for Palace since coming through their youth ranks, playing most recently against Chelsea on 3 January. He also had a 10-game loan spell at the Dons' Championship rivals Nottingham Forest earlier this season. "Jonny has been someone that I've liked for a long, long time," Dons boss Karl Robinson told BBC Three Counties Radio. "In the time that Ian Holloway got Crystal Palace promoted, he had a massive part to play in that, and that was at a really young age. "He really suits our style, he covers so many bases for us, got an unpredictability to his game which is phenomenal, such a low centre of gravity that gives him drive to get past people."